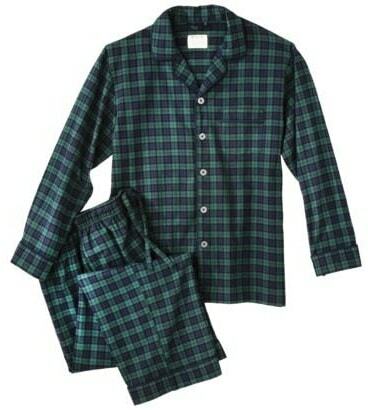 What do women’s flannel pajamas, men’s flannel pj’s and kids flannel sleepwear all have in common? Yes, that’s right. They are all made out of flannel fabric. Pajamas are generally loose-fitting, two-piece garments derived from the original garment and worn chiefly for sleeping, but sometimes also for lounging. Flannel pajamas are obviously pj’s made from flannel fabric. You can buy sleep shirts and sleep pants separately but if you want a "pajama" it should be a top & bottom set. 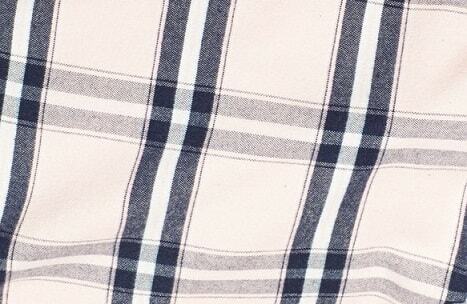 Flannel fabric is a soft woven fabric, of various fineness. Flannel was originally made from carded wool or worsted yarn, but is now often made from either wool, cotton, or synthetic fiber. They fabric is primarily yarn dyed but can also be solid and printed. Flannel pajamas are often designed in plaid patterns but not always. In addition to plaid, they can be solid, striped, printed, etc. You can learn more about plaids or tartans in our plaid shirt section. Flannel may be brushed to create extra softness or remain unbrushed. The more brushing that is done during the manufacturing process can make the fabric softer but too much brushing can weaken the fibers and cause problems to the quality. Flannel fabric mills must be trained and cautious to utilize the proper degree of brushing which is appropriate for the fabric construction, fiber content, etc. Brushing is a mechanical process wherein a fine metal brush rubs the fabric to raise fine fibres from the loosely spun yarns to form a nap. Typically, flannel has a nap on either one side or both sides. If the flannel is not napped, it gains its softness through the loosely spun yarn in its woven form. Flannel is commonly used to make tartan clothing, blankets, bed sheets, and sleepwear such as flannel pajamas. 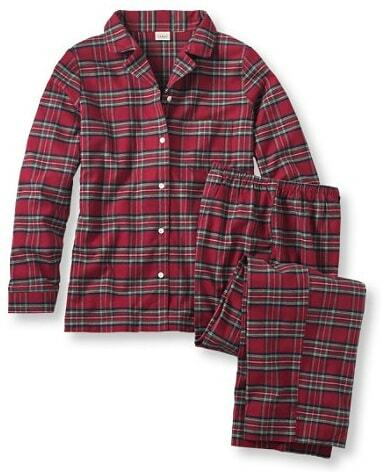 Traditional flannel pajamas consist of a top and bottom (jacket-and-pants or shirt & pant) combination. Contemporary flannel pj’s have many variations in style such as short sleeve shirts, pajama bottoms of varying length, or, on occasion, and one-piece pajamas. They may also be novelty with hoods or footed. What does PJ and PJ’s mean? Thanks for the easy question. PJ stands for pajama (singular). PJ’s stands for pajamas (plural; meaning more than one). What is the difference between pajamas, sleepwear, and loungewear? Flannel Sleepwear is meant for sleeping. This can be a one piece garment such as a nightgown or multiple pieces such as a shirt & pant. Flannel Loungewear is meant for lounging around the house (unfortunately, some people think it is acceptable to wear them out in public). Flannel Pajamas are meant for sleeping or lounging. Is above the technical and legal differences? Probably not, but this is the way we think of these categories. It is important to note that the differences between sleepwear & loungewear does matter to the government. It becomes an issue of concern when importing garments and determine what duty category classification is appropriate. We suggest you consult with an apparel industry customs broker if you plan on importing clothing into the United States. For example, garments classified as women’s “loungewear” under a particular HTS number would have a different duty rate than a garment classified as “sleepwear” under a different HTS #. Typically loungewear is worn at informal social activities in and around the home, and for other individual, non-private activities. Loungewear will often include features that might be considered uncomfortable for sleep, such as buttons, zippers, belt loops, and certain types of pockets. Sleepwear is typically worn only in the home. If the design features lend themselves to consideration as both loungewear and sleepwear, marketing materials and invoices may be considered. These are considered extrinsic evidence, but will only be considered if the physical characteristics are “ambiguous in design and not clearly recognized.” Again, if you are importing you definitely should contact a customs broker to discuss the proper classification. What is the difference between Pajamas and Pyjamas? Pajamas or Pyjamas both refer to loose-fitting clothes worn for sleep or lounging. Pajamas is the preferred spelling in American English, while pyjamas is preferred in the main varieties of English from outside North America. Other names for a pajama may include, jimmies, jimjams or jammies. Learn more about flannel which is a woven fabric. You can gain an education about weaving fabrics in our definition section. It’s always a good time to wear comfortable flannels. When selecting a new pair, think about getting a nice soft hand to the fabric for optimal comfort. Find women's sleepwear retailers in our clothing store section. You can occassionally find a nice selection at L.L. Bean, Eddie Bauer, Cabela's, Victoria's Secret and other retailers. Keep in mind that this item is generally seasonal. Flannel pajamas may not be in the stores during the spring and summer selling season. They are more for fall and winter wearing. Note: Children's sleepwear has special manufacturing requirements. Learn about the flammable fabrics act and other issues if you are planning on manufacturing or purchasing children's sleepwear. It is always a good time to research consumer product safety. If you enjoy sitting around the house in a comfortable pair of pj's, you may want to also learn more about robes which are also nice for lounging around the house. You may want to also learn about boxer shorts which can also be produced in flannel.